Delft University of Technology (DUT) has kicked-off a new Ocean Energy Platform in order to increase research and education in Ocean Energy. DUT aims to play a major role in this upcoming renewable energy technology, including Ocean Thermal Energy Conversion (OTEC). The primary focus of this effort is the development and provision of knowledge needed to analyze and solve the key challenges of Ocean Energy. Specific Ocean energy challenges that will be addressed are related to resource analysis, energy conversion optimization, offshore engineering and system integration. These topics provide many opportunities for collaboration between research institutions, industry and governments. For more information, please visit the TU Delft Ocean Energy Platform website. The first lunch lecture organized by the Ocean Energy Platform was held Monday June 22nd, 2015. 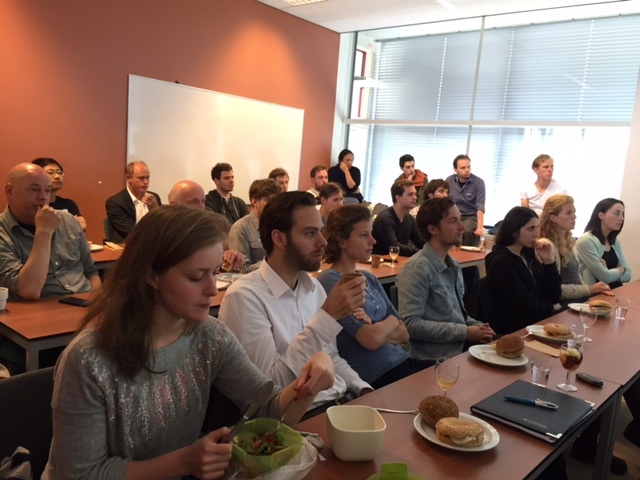 With more than forty attendees, consisting of researchers, students and industry, the lecture was a great success. Two speakers shared some of the ongoing activities at TU Delft on the topic of OTEC and afterwards there was a lively discussion. The first speaker, Dr.ir. 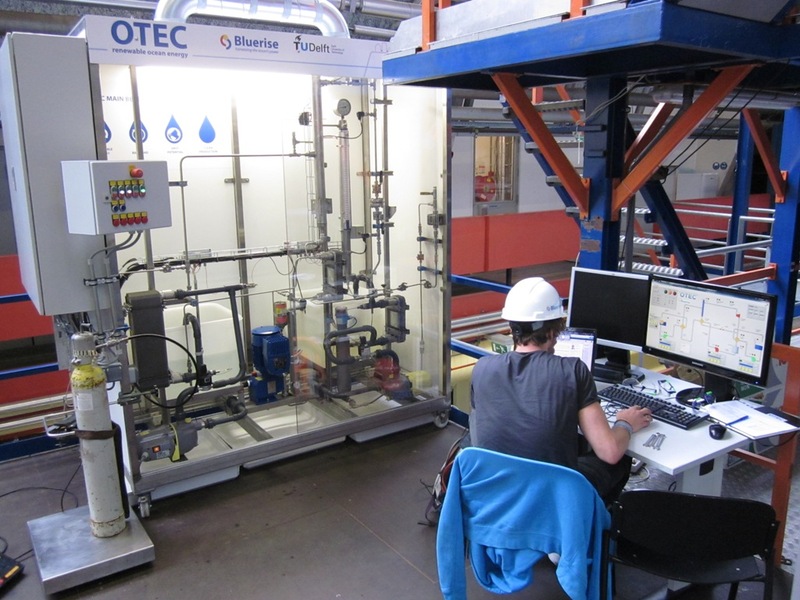 Carlos Infante Ferreira, associate professor at Process & Energy, working on Refrigeration, Heat Pumps, and OTEC, shared some similarities between these technologies and specific challenges on OTEC being addressed in research at TU Delft. The second speaker, Vilborg Guðjónsdóttir, MSc graduate student Sustainable Process & Energy Technology (SPET) at 3mE, introduced her research on modelling and experimental testing of the OTEC system using the OTEC demonstration set-up in the Process & Energy laboratory, build in collaboration with Bluerise, see picture. During the discussion many relevant topics were addressed and new ideas for follow-up research were proposed. The next Ocean Energy lunch lecture will be held on Monday September 28th with a presentation by ir. Peter Scheijgrond, from the Dutch Association of Energy from Water (link), who will share an update on the ongoing work to create an Ocean Energy roadmap. Other upcoming activities will be announced via the website.